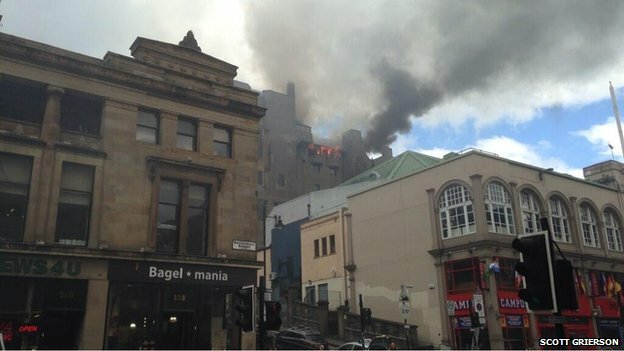 It was very sad to wake to the news this morning of the fire in the Mackintosh building at the Glasgow School of Art. 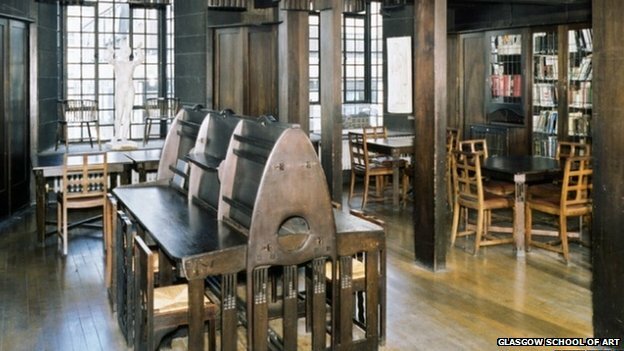 The Charles Rennie Mackintosh designed building is described as “a work of architectural heritage of world renown and its influence on 20th century architecture is immeasurable”. 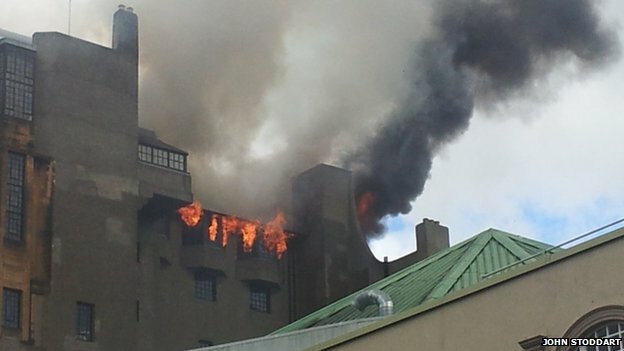 The fire apparently started when a projector exploded in the basement and the footage of flames coming from the fifth floor roof seem to suggest that the damage will be extensive. It will be very sad indeed if all of this is lost.